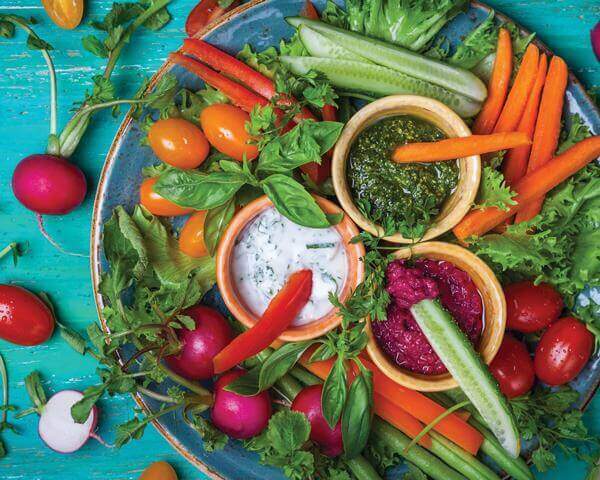 Whether it’s light entertaining or something a bit more formal, here you can find a range of delicious dips to make your next occasion truly memorable. Our story began to tell itself some 30 years ago, within the hustle of a small commercial kitchen space, nestled quietly at the back of our family home in Melbourne. 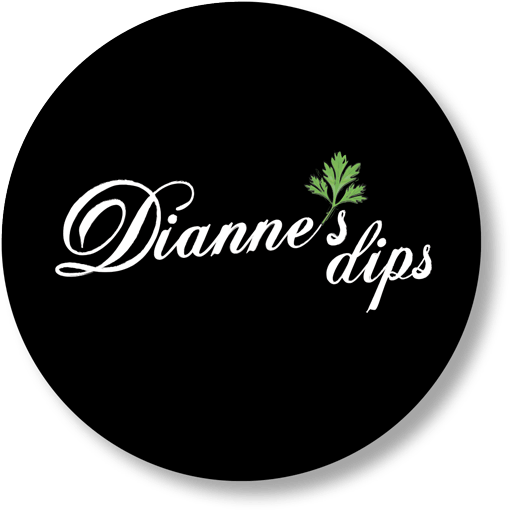 The recipes for our dips have unfolded out of the talent, instinct and love of cooking that our mother, Dianne Louca, has lovingly nurtured and developed throughout her whole life. Mother to three and grandmother of ten, as her greatest fans we saw that the next natural step was to encourage mum to make those recipes, inspired by beautiful local produce and the celebration of food at its finest, available for everybody to enjoy. Dianne’s Dips were already highly sought after by friends and families and other lucky souls well before they became available for the hungry public to purchase at the grand deli at Victoria Market. prepared with the highest of expectations in mind. Eight delicious flavours of Dianne’s Dips are available in a prepacked 200g size. Hand picked basil leaves balanced with fresh garlic, Parmesan and spices to compliment the perfect amount of crunch in this traditional basil pesto. Canola oil, cashews, spinach, parmesan cheese [milk, salt, culture, rennet, tapioca starch, whey powder], basil (9%), vinegar, garlic, salt, pepper, preservative (202, 211), colour (E102). Contains: Peanuts, tree nuts, milk and milk products. Made in a facility that also handles eggs, sesame seeds, soy, fish and shellfish. Our fluffy texture is second to none in this traditional taramasalata — a product of the perfect balance of salt and acidity, creating a unique flavoured dip that takes you back to how you remember it being made. Canola oil, bread [plain flour, fresh yeast, water, yeast powder, salt], water, red fish roe [cod roe (25%), water, soy flour, salt, starch, colours (124, 110, 122), preservative (202, 211), gelling agent (466)], vinegar, brown onion, lemon, garlic, preservative (202, 211). Contains: Fish, soy and wheat. Made in a facility that also handles peanuts, tree nuts, eggs, sesame seeds and shellfish. 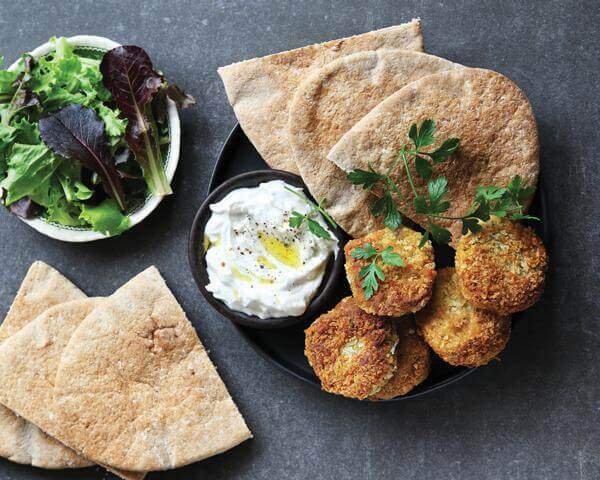 Mum’s peeled and roasted smoky eggplants with fresh herbs and garlic are balanced with the perfect amount of acidity — creating a unique baba ganoush flavour with a chunky texture that everyone will love. Eggplant puree [eggplant (52%), salt, food acid (330)], cooked eggplant (17%), canola oil, vinegar, spring onion, parsley, herbs and spices, garlic, preservative (202, 211). Made in a facility that also handles peanuts, tree nuts, eggs, sesame seeds, soy, fish and shellfish. Hand sorted, twice-cooked Australian chickpeas partnered with the finest blend of tahini, fresh garlic and zesty lemon. This number one seller will create the illusion of a cream filled dip. Made from scratch, it’s sure to impress. (sesame seeds), vinegar, lemon, garlic, salt, herbs and spices, preservative (202, 211). Contains: Sesame seeds. Made in a facility that also handles peanuts, tree nuts, eggs, soy, fish and shellfish. Sweet paprika blended with cream cheese accompanied by roasted capsicums, fresh herbs and ground chili for a pungent flavour. Cream cheese [milk, cream, salt, stabiliser (410), vegetable gum (412), starter culture], canola oil, roasted capsicum [red pepper (19%), vinegar, salt, sugar], mayonnaise [water, sugar, canola oil, vinegar, thickener (1442), food acid (262, 330), salt, spices, vegetable gum (415)], herbs and spices, spring onion, ground chili, preservative (202, 211). Contains: Milk. Made in a facility that also handles peanuts, tree nuts, eggs, sesame seeds, soy, fish and shellfish. Fresh baby spinach folded through our amazing cream cheese mix balanced with cashews for an optimum crunch. Cream cheese [milk, cream, salt, stabiliser (410), vegetable gum (412), starter culture], canola oil, mayonnaise [water, sugar, canola oil, vinegar, thickener (1442), food acid (262, 330), salt, spices, vegetable gum (415)], cashews (12%), spinach (7.5%), vinegar, water, herbs and spices, preservative (202, 211). Contains: Peanuts, tree nuts, milk and milk products. Made in a facility that also handles eggs, sesame seeds, soy, fish and shellfish. A creamy blend of mayonnaise and cream cheese with fresh herbs and crisp spring onion — this flavour is a sure winner with the kids! Cream cheese [milk, cream, salt, stabiliser (410), vegetable gum (412), starter culture], canola oil, mayonnaise [water, sugar, canola oil, vinegar, thickener (1442), food acid (262, 330), salt, spices, vegetable gum (415)], brown onion, spring onion (3%), water, parsley, salt, preservative (202, 211). Contains: Milk. Made in a facility that also handles peanuts, tree nuts, eggs, sesame seeds, soy, fish and shellfish. Extra thick, strained Greek yoghurt and an evident amount of crisp, diced cucumber with fresh garlic and a pinch of salt for the perfect traditional tzatziki dip the whole family will love. Greek style yoghurt (72%) [milk, milk solids, buttermilk powder, mineral salt (452), emulsifier (471), soy flour, yoghurt cultures], cucumber (18%), canola oil, garlic, salt, preservative (202, 211). Contains: Milk and soy. Made in a facility that also handles peanuts, tree nuts, eggs, sesame seeds, fish and shellfish. A delicious blend of creamy yoghurt and chunky baby beetroots combined with roasted garlic, this refreshing dip is sure to hit the spot. Greek style yoghurt (60%) [milk, milk solids, buttermilk powder, mineral salt (452), emulsifier (471), soy flour, yoghurt cultures], beetroot (21%) [beetroot (65%), water, sugar, food acid (260), salt, spice flavours], cucumber (15%), canola oil, garlic, salt, preservative (202, 211). 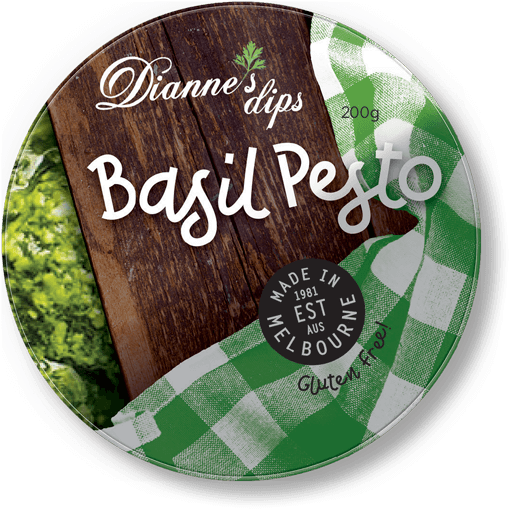 An alternative to your traditional basil pesto, this chunky delight has an unbelievable variety of fresh herbs including basil, dill, coriander and crisp baby spinach crafted to perfection to create a quality, homemade feel. Fire roasted capsicums sliced and folded through our delicious baba ganoush mix with fresh chili creates an alternative to the traditional dip for those who prefer a hint of spice. 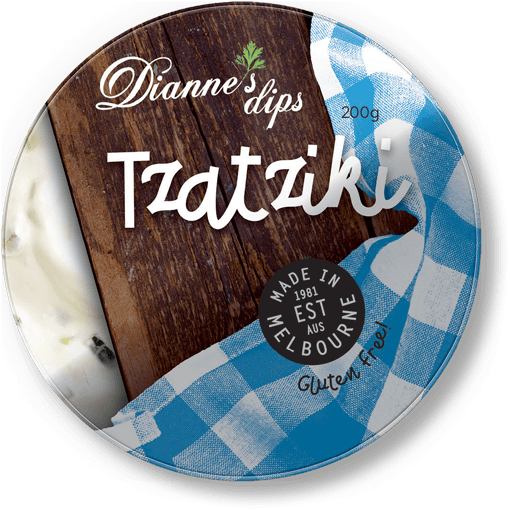 Smooth, creamy Australian feta, blended together with fresh parsley and basil leaves, creates a tasty, fresh flavour like no other. Finishing with fresh garlic and ground chili, this is truly a unique flavour. Feta (35%) [pasteurised cows milk, salt, non-animal rennet, cultures], canola oil, cream cheese [milk, cream, salt, stabiliser (410), vegetable gum (412), starter culture], fresh basil (5%), garlic, parsley, chili, preservative (202, 211). 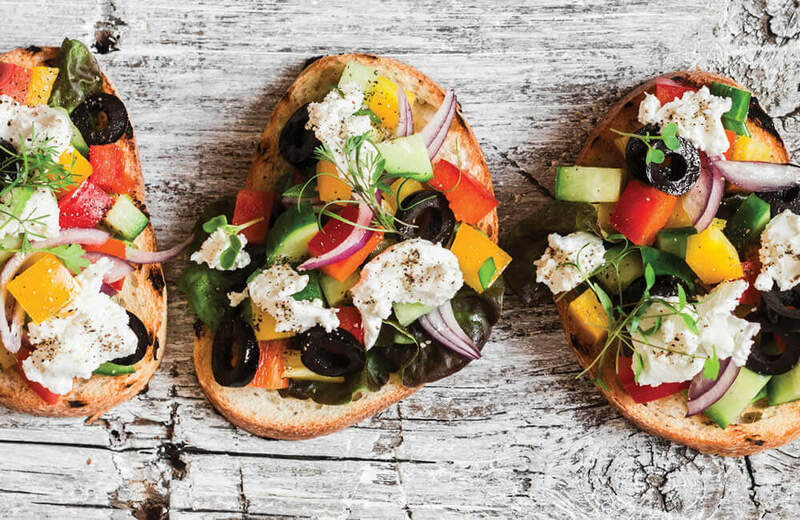 Smooth, creamy Australian feta accompanied by quality sourced Kalamata olives, Italian roma tomatoes and fresh herbs with a hint of crushed chili for a chunky, authentic flavour. Feta (31%) [pasteurised cows milk, salt, non-animal rennet, cultures], canola oil, cream cheese [milk, cream, salt, stabiliser (410), vegetable gum(412), starter culture], black olives (4%), roma tomatoes, herbs and spices, garlic, preservative (202, 211). Cooked chickpeas (57%) [chickpeas, water, sodium bicarbonate], canola oil, tahini (sesame seeds), vinegar, lemon, garlic, salt, herbs and spices, preservative (202, 211). Contains: Sesame seeds. Made in a facility that also handles peanuts, tree nuts, eggs, soy, fish and shellfish. Kalamata olives (70%), canola oil, black balsamic vinegar [wine vinegar, grape must, sulphites (224)], eggplant, garlic, preservative (202, 211). Sides of salmon added to our premium mix of sweet paprika and cream cheese with fresh dill and baby capers. Cream cheese (47%) [milk, cream, salt, stabiliser (410), vegetable gum (412), starter culture], canola oil, mayonnaise [water, sugar, canola oil, vinegar, thickener (1422), food acid (262, 330), salt, spices, vegetable gum (415)], smoked salmon (6%), brown onions, herbs and spices, water, capers, preservative (202, 211). 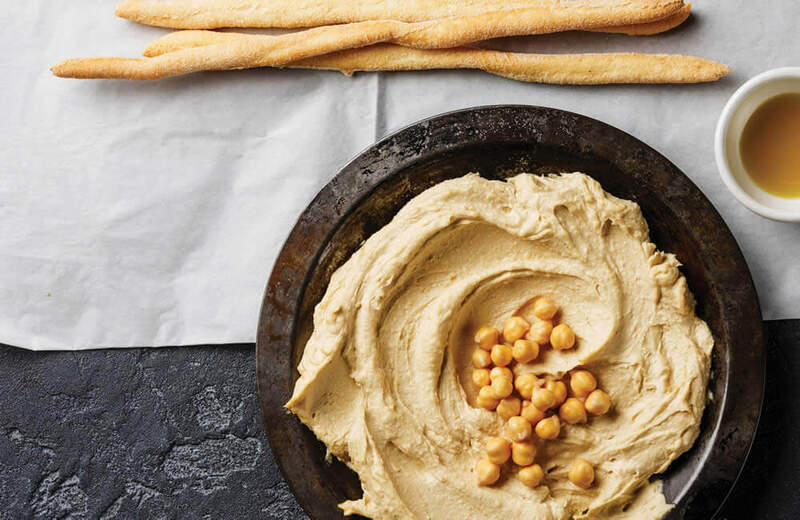 Hand sorted, twice-cooked Australian chickpeas partnered with the finest blend of tahini, fresh garlic and zesty lemon — with fresh, crushed chili providing the perfect spicy alternative to your traditional blend. Cooked chickpeas(57%) [chickpeas, water, soda bi- carbonate], canola oil, tahini (sesame seeds), vinegar, lemon, garlic, salt, chili (2%), preservative (202, 211). Roma tomatoes are blended with roasted capsicum, fresh garlic, aged Parmesan and cashews to create this beautiful, chunky textured pesto — with added chili to compliment. Roma tomatoes (20%), [tomatoes (98%), contains preservative (223)], roasted capsicum (19%) [water, vinegar, salt, sugar], canola oil, cashews, parmesan [(cheese — milk, salt, culture, rennet), tapioca starch, whey powder], white balsamic vinegar, garlic, herbs and spices, preservative (202, 211). Twice-smoked trout fillets blended with cream cheese and a perfect mix of fresh dill, parsley and baby capers to taste. Cream cheese (47%) [milk, cream, salt, stabiliser (410), vegetable gum (412), starter culture], canola oil, mayonnaise [water, sugar, canola oil, vinegar, thickener (1422), food acid (262, 330), salt, spices, vegetable gum (415)], smoked trout (6%), brown onions, parsley, salt, water, capers, preservative (202, 211). 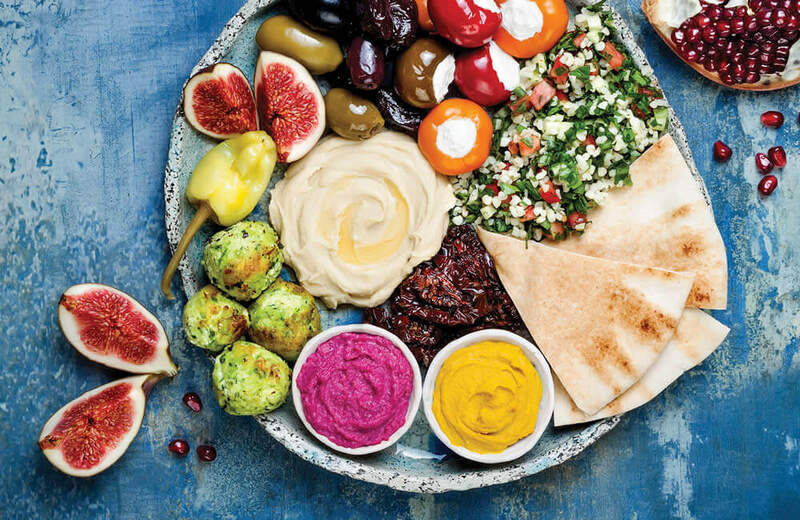 Search by suburb or postcode to find a range of delicious dips to make your next occasion truly memorable. Smoked salmon is a strong flavoured dip, so serve with simple crackers, or breadsticks — also great with fresh cucumber or even sliced apple or pear. 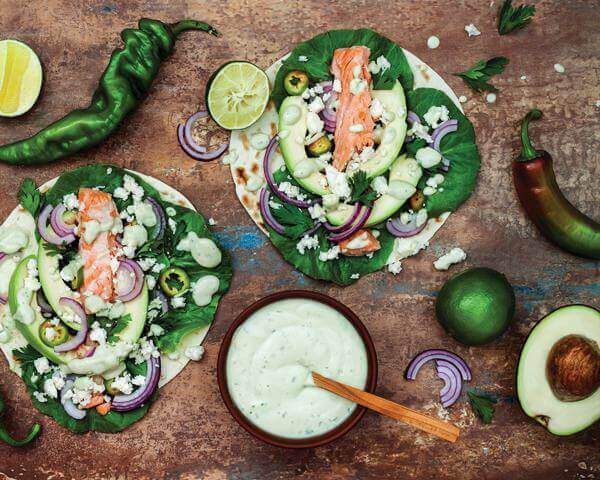 Tzatziki is perfect with vegetables such as carrot sticks, broccoli or charred cauliflower or go traditional by dipping pita bread. 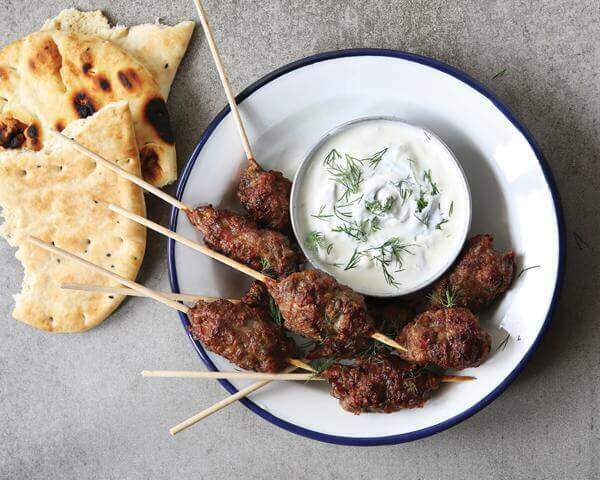 For a heartier dip lamb koftas or spicy chicken wings. In addition to dipping with your favourite breadsticks or flatbread, why not spread a little pesto on sourdough bread and top with cheese, toast and serve. For a fancy cheese option serve over baked brie and then dip with crispy lavosh. Not only is this dip delicious with a cheesy biscuit, but also pairs ideally with grilled chicken or lamb kebabs. Hommus is a versatile dip that you can spread instead of mustard or mayonnaise, dip with vegetables or chips, or add to mashed potatoes for an indulgent treat that is actually good for you.